To properly understand Ephesians 3:7-13, I highly recommend you go back and read the sermon manuscript on Ephesians 3:1-6, especially my opening comments about how my thinking has changed over the years about this important passage. How is it that you can put twelve pairs of socks into the washing machine with all your other clothes, and when you take them out, there are only eight socks and none of them match? Why is it that the traffic lane or grocery check-out lane which you are in, although it is the shortest, always goes the slowest? Why is it that the slice of bread with peanut butter on it never falls off your plate in the kitchen – but waits until you are in the living room? And how come it always falls peanut-butter side down? Why is it that we drive in a parkway, but park on a driveway? Here’s a current mystery from television commercials: “What is mlife?” If you have seen these commercials, then you know what I am talking about. Some company has come up with an ad campaign where they are advertising something, but don’t tell us what it is. At the end of the commercial, they simply say, “What is mlife?” I’m sure nearly everyone who has seen the commercials has been curious. I’m sure that we will be told soon what mlife is and why we can’t get by without it. There are mysteries that are more serious as well. For many people, what happens after death is a mystery. That’s an important one to figure out before you die. For thousands of years, philosophers have argued over the meaning of life. What is the meaning of life? Is it just to have as much fun and get as many toys as you can before you die? Is that what life is all about? Or is it to give up all your possessions and go off and live in the desert by yourself? Is there some meaning to life beyond ourselves? Have you ever wondered why you exist? Do you ever ask yourself why you are here? Why God made you? I want to suggest today that it was more than just for His glory. Ultimately, yes, but He didn’t create the universe just because He could. There was another reason. A second purpose. Maybe we’ll never know the full answer, but Ephesians 3 suggests a reason. This passage is the last part of Paul’s parenthesis. In Ephesians 3:1, Paul began to tell his readers something, but then he got sidetracked onto a rabbit trail, which is found in Ephesians 3:2-13. The main idea of Paul’s parenthesis is the mystery that was revealed to him. 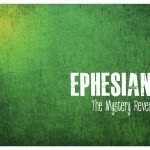 Ephesians 3:1-5 explains that Paul was a Prisoner of the mystery, and in Ephesians 3:6, the Plan of mystery. The mystery is that God had joined the Jewish and Gentile believers into one body. Where before there was separation, now there was unity. Together, they were one new man. The rest of the mystery is found in Ephesians 3:7-13. These verses are the continuation of Paul’s Parenthesis about the mystery revealed to him in Christ. 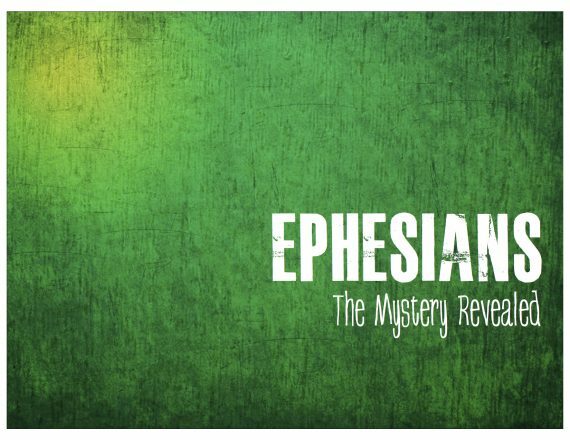 We’ve seen the prisoner and the plan of the mystery, Paul explains in Ephesians 3:7-9 the Preaching of the Mystery. This points us back to verse 6 where Paul presented the Plan of the mystery. He’s continuing to talk about this mystery. The word minister comes from the Greek word diakonos. It is possible that the word has it’s origin in a similar Greek word, diakonis, which means “running through dust.” In the Roman world, servants would run errands for their masters through the dusty streets, and often times, when the masters went on journey’s the servants would trot along in the billowing dust behind the master’s horse and body guards. The word diakonos can also be translated servant or deacon. You have all heard of deacons right? This is where that title comes from. A deacon is someone who serves in the church. They are those men and women who have the God given ability to see what needs to be done and do it – no matter how menial. They are wonderful people to have in a church – deacons and deaconesses. The Greek word is diakonos – someone who runs through the dust. That is Paul’s picture of himself in Ephesians 3:7. He calls himself a diakonos, a minister. He was a minister according to the gift of the grace of God given to me by the effective working of His power. Paul is just saying that this ministry was a gift given to him by God. The term effective working is the Greek word energion from which we get our word energy, and the word power us the Greek word dunamis from which we get our word dynamite. God was working in Paul with energy like dynamite to carry out the task given to him. In Ephesians 3:7, Paul said he was a minister, a servant running through the dust. Here, he says that he is the least of all the saints. The term least could also be translated very small, quite unimportant, or insignificant. The best translation is exactly what we have here in the NKJV. It is not just that he was the least of all the saints, but he was less than the least. He wasn’t just saying this; this wasn’t false humility. Paul really believed it. In 1 Timothy 1:15 he states a similar idea when he calls himself the chief of all sinners. In 1 Cor 15:9, he is the least of the apostles. I don’t think Paul was one of those who was proud of his humility. He wasn’t the type to brag about his humility. He said things like this, because he was convinced of how great a sinner he was. He remembered all that he had done to persecute and destroy the church in his former years, and it weighed on him. Yes, he knew that he was forgiven and that all of his sins were washed away by the blood of Christ, but he knew that he didn’t deserve it. A lot of Christians think that the more mature you become and the closer to God you get, the less you sin. While this is true, as you mature, it will seem to you that the very opposite is happening. I think that the closer we get to God, the more aware we become of how sinful we really are. It’s like light – since God is light. The closer you get to a light, the brighter the light becomes, and the more flaws the light reveals. This is why assurance of salvation should never and can never be based on your works. Assurance of salvation is based on Christ and what He has done for us, not on ourselves and what we have to do. If you are basing assurance on your works, you will never have it because as you mature in your Christian walk, if you are honest, you will only think you are getting more and more sinful. This is what we see with Paul here. He calls himself the least of all the saints – because he is convinced of his sinfulness. Nevertheless, Paul accomplished quite a bit, didn’t he? So what separates us from Paul? In my opinion, nothing except willingness. You know, if the truth were to be known, I think Christians today have greater opportunity and greater possibility to serve God than Paul did. I have heard some Christians, when confronted with their lack of activity and dedication say, “Well, I’m not Paul.” That’s exactly right. You’re not Paul. The difference between him and you is that you have more opportunities and more resources than he ever had. The reason God used Paul so much is because Paul was willing to do what he could. He says he was the least of the saints and the chief of sinners, but we see how God used him anyway. If God can use Paul, God can definitely use you – if you are only willing and ready. The rest of verse 8 and on into verse 9 tells us what ministry God gave Paul. Paul’s God given task was to preach. These verses show us the two things he was to preach. First in Ephesians 3:8, he was to preach to the Gentiles the unsearchable riches of Christ. This is the truth found in chapter 1 of Ephesians. Second, in verse 9, he was to preach about the fellowship of the mystery which is the truth found in Ephesians 2. The word unsearchable means that these riches of Christ are so great that they cannot adequately be explained or even understood. They are beyond finding out. They are without explanation or definition. You cannot fully explore them. You cannot delineate them. They are beyond description. They are beyond enumeration. You cannot catalog them. You cannot create in inventory list. Let me put it another way. How many waves are on the ocean? The answer – if there is one – is that there are an infinite number of waves, because they just keep on coming. It is the same with the riches that we have in Christ. We cannot number them because they just keep on coming. You think the Duracell battery never stops? Just think about the riches in Christ. They truly are without end. Paul mentioned some of the riches we have in Christ in Ephesians 1, but when compared with what Christ still has for us, Ephesians 1 is like a single snowflake in comparison to all the snowflakes that have ever fallen and ever will fall. The unsearchable riches of Christ was the first thing he preached, the second, as we saw in Ephesians 3:9 is the fellowship of the mystery. 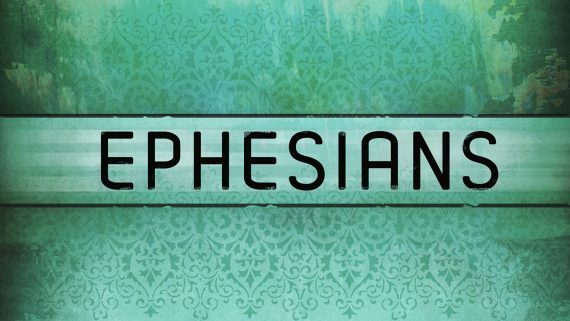 Remember Ephesians 2? Even though we were sinners and separated from God and each other, Christ came and brought us all together into one unified body. This is what Paul preached. Since Paul preached it, does this mean that Paul made it up? No. The rest of Ephesians 3:9 says that this message originated with God when he created the universe. 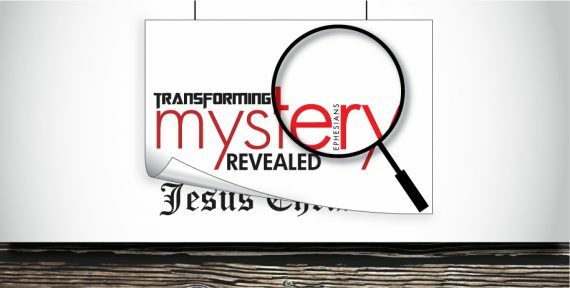 Remember, according to Ephesians 3:5, this mystery was hidden for ages and generations, but was made known by the Holy Spirit to God’s apostles and prophets. Paul here in verse 9, wants to make sure that we realize that this mystery was NOT an invention of Paul’s, nor was it a sudden decision by God. It was God’s plan from the very beginning of the ages. It was hidden in God, meaning we didn’t know it, but God had it planned from creation. Many things are for God to know and his creatures to find out (Prov. 25:2). But when he does reveal things to us, as he did here to Paul, it is our responsibility to shout them from the rooftops, to share it with all who will hear. This is how the Gospel message should be for us. God did not give us the Gospel of Salvation so we could hoard it and hide it, but so that we could share it and shout it. That is what Paul did here with the mystery revealed to him. Paul, the prisoner of Jesus Christ, was revealed the plan of the mystery and as a result he preached about this mystery to all. Paul’s God-given task was to preach to the Gentiles the mystery revealed to him in Christ. What is the meaning of life? Here is the first part. This is an answer individually – for each one of us. God has a plan, a goal, a specific purpose in mind for each one of us, and our goal, our task, is to discover what that is, and do it. When you do, you will have an impact upon this world as great – or ever greater – than Paul’s. I believe it was Charles Spurgeon who said that the world has yet to see what God can do through one woman or one man who is totally committed to God. Maybe you will be the one to show the world what this looks like. Paul’s parenthesis has so far explained why he is a prisoner, what the plan of the mystery revealed to him was, and how he individually was called by God to preach to the world about this mystery, Jews and Gentiles. But he still has not told us what the purpose of the Mystery was. Why God chose to join Jewish and Gentile believers into one body – the church. I mean, have you ever wondered why the church exists? Yes, we’re supposed to make disciples of all nations. Yes, we are supposed to worship and glorify God. Yes, we are supposed to be loving communities where people can be supported and encouraged. These are all things we do. But verses 10-11 of chapter 3 tell us why. These verses are the Purpose of the Mystery. The Purpose of this new unity we have in the church. It will surprise you. Powers is not dunamis, the power of God which we saw in verse 7. Here, the Greek word is exousias. It means celestial rulers and authorities, like angels, archangels, and demons (Eph. 1:21; Col. 1:16; 2:10, 15; 1 Pet. 3:22; 1 Cor. 15:24.) So now that we know who the principalities and powers are – they are angels and demons – what does this verse teach? It says that the church is teaching them about the manifold wisdom of God. Do you comprehend what Paul is saying? This is unbelievable! God has created the church so that we could teach angels and demons! The words of the famous song are true. “We are standing on Holy Ground, and I know that there are…angels…all around.” When we meet as a church, there are angels watching, listening, and learning. They are getting out their pencils and their pads of paper and taking notes. 1 Peter 1:12 says, concerning the things God has revealed to the church that “even angels long to look into these things.” They long to learn the things we get to learn! Do you long to learn? Do you eagerly look forward to Sunday morning, and your daily devotions, and a small group Bible Study? The angels long to look into these things. And Ephesians 3:10 says that they learn from us as we look into them. The rest of Scripture teaches that they are here, observing our worship (1 Cor. 11:1-10), and that they observe our work and our witness (1 Tim. 5:21; 1 Cor. 4:9-13; Luke 15:10; Luke 12:8-9; Mt. 16:27). So, what is the meaning of life in the church? Why does the church exist? Why did God decided to unite Jews and Gentiles into one body in Christ? The reason, according to Ephesians 3:10 is to teach the angels and demons. But the question still is…Why?…Why? Ephesians 3:10 says God is teaching them about His manifold – or his many faceted wisdom, but it does not tell us why or exactly how we do this. There are hints throughout Scripture that the reason God created the world and the reason the church exists is to teach the angels something. God did not create us simply because he was lonely or because he wanted to bring himself more glory. God created the world and the church to be a graduate school for the angels and demons. To my knowledge, Scripture does not specifically tell us why, and we will not fully know until we get to heaven – and maybe not even then. But, just like all mysteries in Scripture, there are hints. Scripture tells us that Christ’s death and resurrection were not for the angels (Heb. 2:14-16; 1 Pet. 1:12.) The book of Revelation tells us about the future of Satan and his minions – they are going to be cast into the Lake of Fire. But still, aside from the hints here and there – maybe some of you know more than I, and if so, I would love to learn from you – to my knowledge, it is a Scriptural mystery what exactly we are teaching the angelic realm – what exactly the lesson is that God wants them to learn. “And God said, ‘Let there be light,’ and there was light. God saw that the light was good, and he separated the light from the darkness. God called the light “day” and the darkness he called “night.” And there was evening and there was morning – the first day. The book continues from there. The book is not a story. It is a book explaining how God has set up the world so that those who serve him will reign. Those who the least will become the greatest. Greatness does not come through pride and conquest, but through service and humility. That’s the lesson Joseph Dillow says we are teaching to the angels. And it very well could be. But whatever God is trying to teach, them, look in Ephesians 3:11 at WHEN he made this his goal. In Ephesians 3:9, God’s plan of the mystery was from the beginning of the ages, that is, from the beginning of time, or from the beginning of creation. Here in Ephesians 3:11, God’s plan to teach the angels and demons was according to the eternal purpose of God. This purpose to teach the angels is logically prior to God’s purpose of uniting Jews and Gentiles. Do you want to know what this means? This verse tells us that the church is the central goal of history. The church is the eternal purpose of God for human history. The church is the reason the universe was created! Think about that. What level of importance do you place on the church? If you were to make a list of your top ten priorities for this week, where would church come in on the list? Would church even be on your list? On God’s list of priorities, the church is number 1. God’s reason for creating the universe was to create the church – the mystery kept hidden for ages and generations. And the purpose of the church was to teach the angels. So that is the purpose of the mystery. We’ve seen the prisoner of the mystery – Paul. The Plan of the Mystery, to unite Jews and Gentiles, the Preaching of the Mystery to the world, and the Purpose of the Mystery – to teach angels and demons. And all of this is accomplished through Christ’s church. We now look quickly at the final point of Paul’s Parenthesis – the Privilege of the Mystery. Ephesians 3:12. in whom we have boldness and access with confidence through faith in Him. Ephesians 3:12 is quite clear. The privilege we have in Christ is that we can have boldness to come before God in prayer. We have access (cf. 1:18) to the throne of grace. We can come before God with confidence that he hears us (Heb. 4:16; 10:19; 1 Jn 5:15). All of this, again, like everything we have in Christ, is (at the end of verse 12) ours through faith alone in Christ alone. Ephesians 3:13 is the conclusion of Paul’s parenthesis. Ephesians 3:13. Therefore I ask that you do not lose heart at my tribulations for you, which is your glory. Remember, he began in Ephesians 3:1 by talking about how he was a prisoner of Jesus Christ for the sake of the Gentiles. That might be a troubling thought for them, so he has spent several verses assuring them that what he is going through is not a bad thing, but it is exactly what God wants. I think the lesson from these 13 verses that we looked at last week and today is simple. It is this: God opposes the proud but gives grace to the humble (1 Pet. 5:5; Jam. 4:6). We see it in the life of Paul, and we see it in what God is trying to teach the angels. Paul was very humble. He refers to himself as a prisoner, as a minister, a deacon, someone who runs through the dust, and he refers to himself as the least of all the saints. But God exalted Paul. God gave grace to Paul to carry out a world-wide ministry to the Gentiles. God gives grace to the humble. On the other hand, in this passage, we have the principalities and powers. Somewhere in their past, some of them became proud and haughty. Led by the Angel of Light, they rebelled against God. But God opposes the proud, so now all of them, those who fell and those who didn’t are being taught a lesson by God through us. So the question then for us is twofold. First, are you humble enough to be used by God? This is a trick question. I do not think we can ever know if we are humble enough. The person who says they are humble enough, obviously is not. So the goal is to ask God to use us despite our pride, and to teach us to rely on him more than on ourselves. The second question is “What are you teaching to the angels and demons? When they look at you, what do they see? As they attend this church, as they listen to you singing, as they watch you sitting there, listening to me – what do they learn? We always say that Christ is watching us, but we have seen today that the angels are too. Are your actions and thoughts teaching the angels the lessons God wants them to learn? It has been popular among Christians in years past to ask themselves “What Would Jesus Do?” There were bracelets and T-shirts and all sorts of things that went along with this. This week, I want you to do something different. As you go about your day – to school, to work, or as you interact with your family and friends – ask yourself constantly “What am I teaching the angels?” As they look over your shoulder at what you read, as they sit down on the couch next to you and watch what you watch on television, as they drive in the car and listen to what you listen to – what are they learning from you? Does your life reveal the truth that “He who is least among you will become the greatest, and He who is the greatest will become the least? That the “first shall be last, and the last shall be first”? Our audience is not just God, we also have students who watch everything we do. What are you teaching them? outline borrowed from John MacArthur. This is an excellent verse in defense of Molinism (The Middle Knowledge of God). This verse does not say that this was God’s plan from before creation, it just says that it was God’s plan from creation. Prior to creation, there were innumerable worlds which God could have created. He scanned the possibilities, picked one he liked, and created it. It is this moment of picking to the logical next step of creating that verse 9 is talking about. See The Only Wise God by William Lane Craig. C. Fred Dickason, Angels: Elect and Evil (Chicago: Moody, 1975), 108. It is true that we exist to worship and evangelize, but these things just bring more people into the church, which is circular reasoning if we are looking for an ultimate reason for the church. God didn’t create the church so the church could get more people into the church. That is silly. These functions we do as a church have the overriding purpose of teaching the spiritual realm. Joseph Dillow, The Reign of the Servant Kings (Hayesville, NC: Schoettle, 1993), 1-3.